These are homes that warrant special attention, as they are luxury homes that are truly distinct and unique! 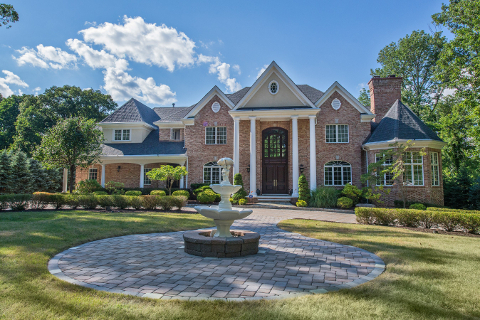 Exclusive luxury home in Watchung, NJ! Our newest featured showcase property! Magnificent 7,450 sqft luxury home with additional 3,600 square feet in walk-out basement level situated on 1.85 acre wooded lot in the sought-after Stony Hill section of Watchung. Remarkable features include exquisite custom woodwork, detailed ceilings with intricate moldings and design, exquisite inlaid hardwood floors, elegant fireplaces boasting detailed carvings, glamorous bridal staircase leading to spacious 2 story entry foyer, professional gourmet kitchen featuring appliances by Viking and SubZero, dramatic conservatory featuring a wall of glass with 180 degree views, incredible master bedroom suite with fireplace and sitting room, in-ground heated pool, 4 car garage and much more. An outstanding offering for the those requiring the finest in luxury living! Call Tom at 201-637-7484 to schedule a private tour or use the contact agent tool on this site. This home is now priced at $2,749,000. MLS ID 3220462. Luxury home in Watchung, NJ video by Clarke Mayer on Vimeo.